For those who remember, “Ballizo” means “to dance” and some words that derive from it are; the waltz, balos dance (a Greek traditional/folk dance), the ball etc. Come and join us in an unforgettable “party” of vividness and joy in the island of the first heavenly traveler, to discover the hidden spots, the rare beauty of the island and the local culture. For the first time, we will all participate in the preparation of a traditional Ikarian wedding party! 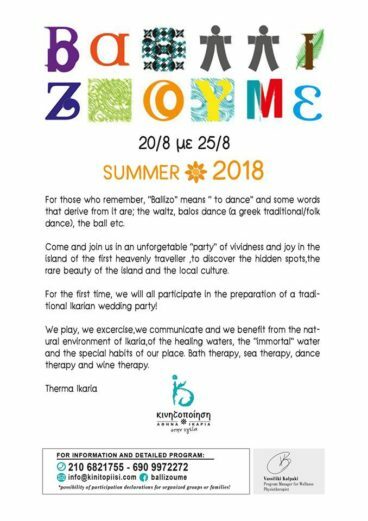 We play, we exercise, we communicate and we benefit from the natural environment of Ikaria, of the healing waters, the “immortal” water and the special habits of our place. bath therapy, sea therapy, dance therapy and wine therapy. Through several games of questions we get to know each other. We will also learn myths, traditions and beliefs of the island. We entertain ourselves, we learn, we communicate and we feel like children again! Song and dances from Ikaria! They are directly connected with the lifestyle of the island people. We dance and we prepare for the wedding party, as well as for the famous celebrations of Nikaria. Syrtos, karsilamas, hasaposerviko, tango, ikariotiko (famous traditional local dances). 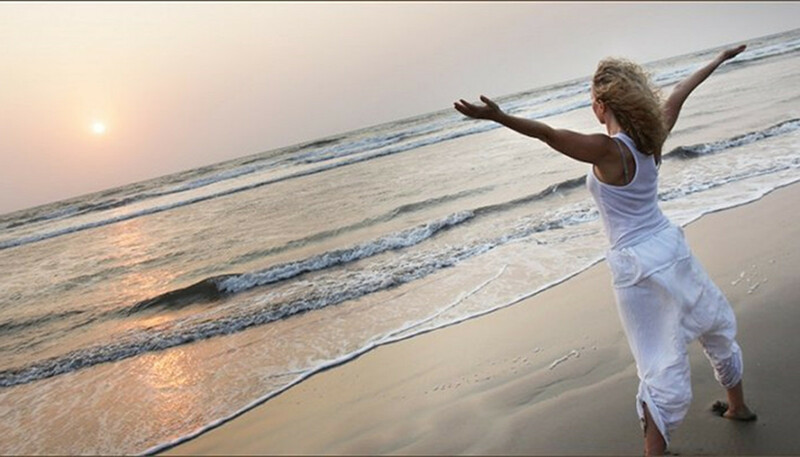 We relax with breaths and calm Pilates exercise. It is a preparation in order to enjoy the benefits of the healing waters of “Leukada” and discover the beneficial powers of the “immortal water”. We follow the new route of the Therma – Nealia way. 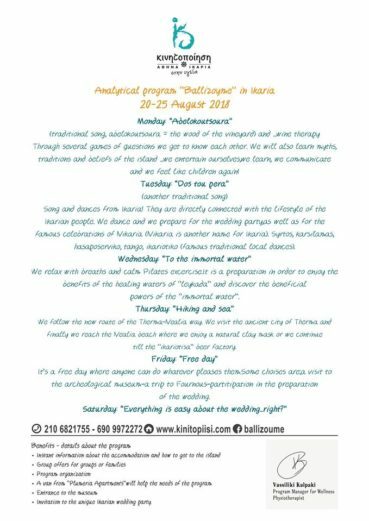 We visit the ancient city of Therma and finally we reach the Nealia beach where we enjoy a natural clay mask or we continue till the “Ikariotisa” beer factory. It’s a free day where anyone can do whatever pleases them. Some choices are a visit to the archaeological museum, a trip to Fournous, participation in the preparation of the wedding.